Time to think outside the box with custom name badges, designed just for you and your staff! Does your restaurant, hotel, or business want to make a unique statement? It’s time to think outside the box with custom name badges, designed just for you and your staff! Along with our very large selection of standard name tags, here at Tag UR It! inc. we can work with you to create the perfect name tag for your employees! Our talented graphic design team will help you select shape, material, concept, and design of the name tag you are envisioning. We have no set up fees of minimums here at Tag UR It! inc.! After you have worked with our design team, we will provide you with mock ups so you can see exactly what your name badges will look like! Our prices are among the lowest in the industry and your name tag possibilities are endless! Below are some examples of custom name badges we have created in the past!! Check out our website for some ideas and feel free to contact us with any questions at all!!! 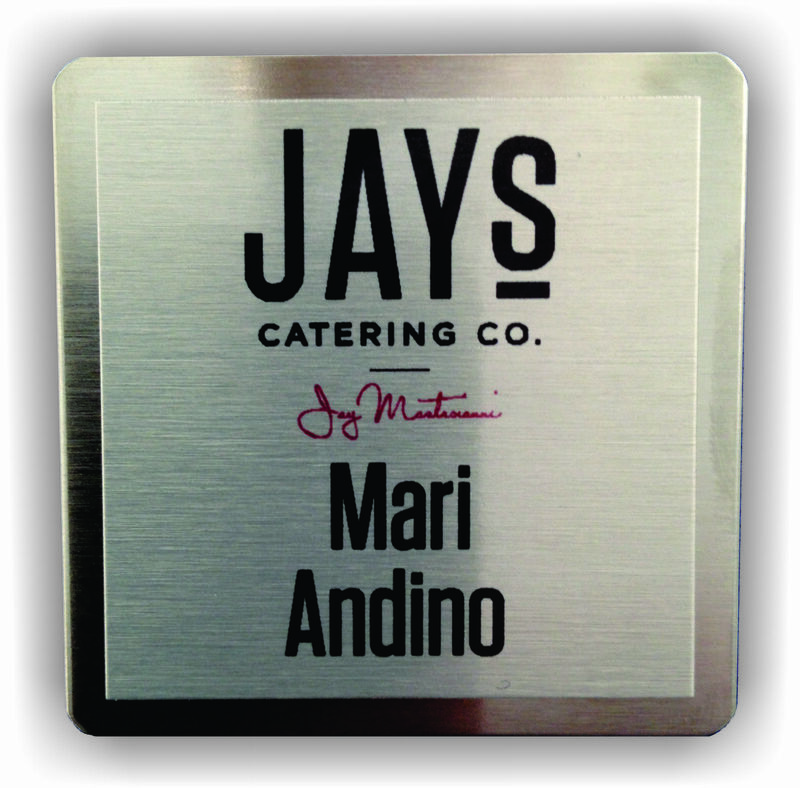 This custom name badge was created with a photo provided by a client! 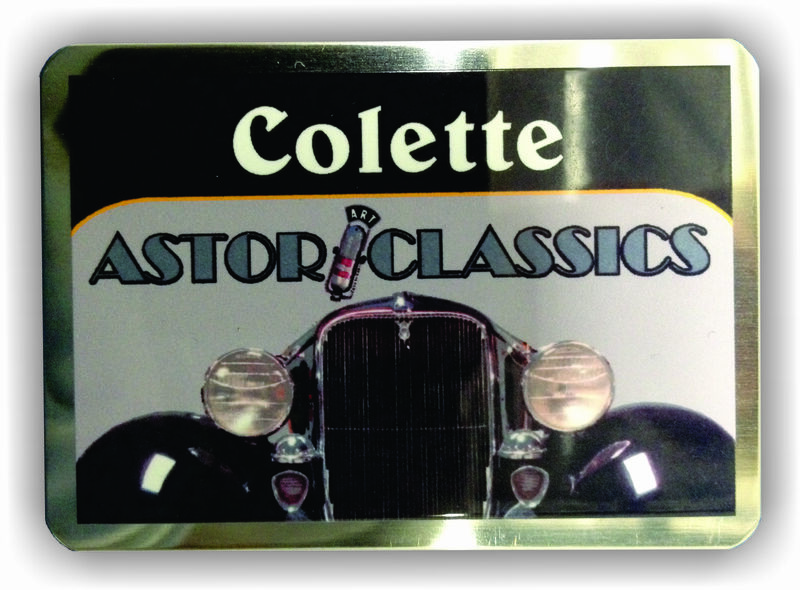 Through the process of sublimation, we can use any photo as the backdrop of your name tags! This is a layered style square name tag custom designed for a client looking for a bit of a different look! The square shape definitely sets this badge apart from the rest and came out looking fabulous! This enhanced gold metal oval name badge features a layered multi-level design with an elevated metal layer with logo! Previous Previous post: A wonderful Tag Team dinner evening out at Ruth’s Chris Steak House! Next Next post: Heartfelt thoughts and prayers for Boston from Tag UR It! inc.